Just over 2 million apps and counting. That’s the number of apps currently in the iOS App Store, with thousands of similar apps overwhelming every category and subcategory. With that being said, app development and design is a lucrative market with Apple paying out $20 billion last year alone to developers. Knowing the methods to get your app featured and optimized will get you that much closer to a piece of that huge pie. Like website SEO, there are both “on page” (App Store listings) and “off page” tactics you can use to improve app store optimization. The tactics in this round-up will help to get you more installs and more visibility for your app. Using bland words like “photos” or “music” in the title of your app will confuse users and cause them to ignore your app. Also be careful of using names similar to already existing apps. This is a black hat tactic favored by shady developers who build fake apps and might result in Apple banning your app from the Store. For example, check out how all of the apps in this screenshot offer mirror effects. While choosing categories, focus on the core functionality of your app and not on secondary functions. 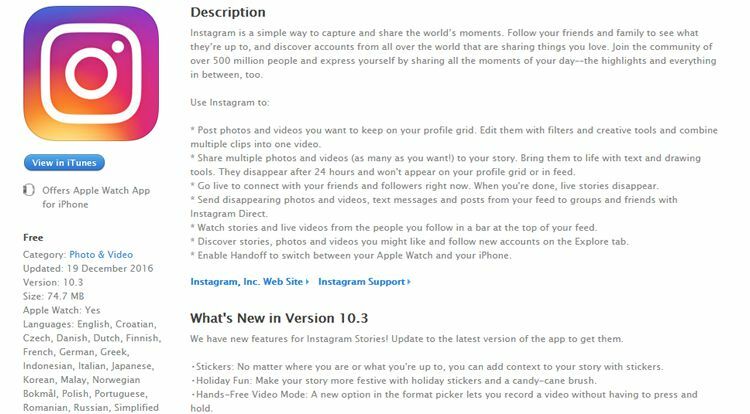 For example, Instagram is categorized in Photos and Video, while Facebook is categorized as Social Networking, even though both have a significant overlap in functionalities, and users consider Instagram to be a social network now. 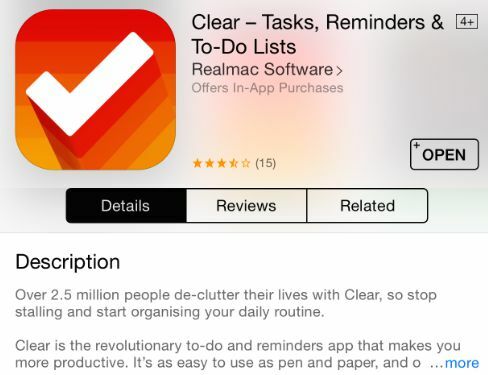 Apple disapproves of apps that are not updated regularly. Just like Google, which rewards sites that are frequently updated, regularly updated apps lets Apple know that the developer is committed to providing a better user experience. 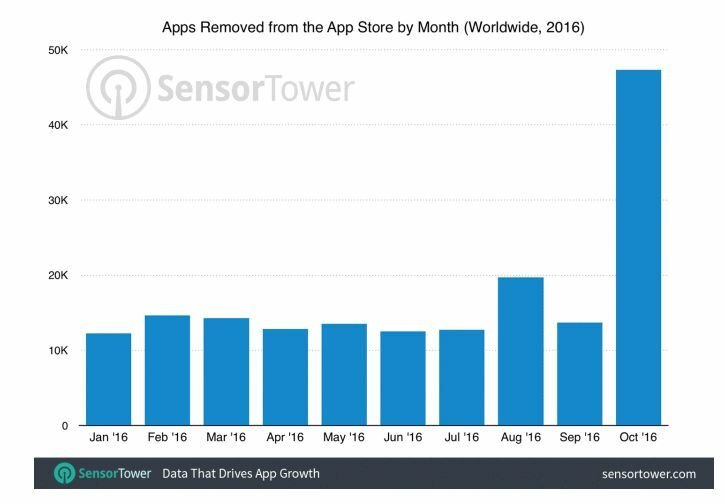 Apps that are either obsolete or abandoned will ultimately face deletion from the App Store. 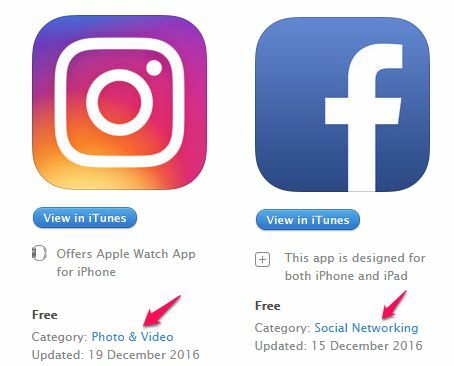 Considering the fact that users will remember your app on the App Store by how your icon looks, it’s essential that you pay attention to how they are designed. 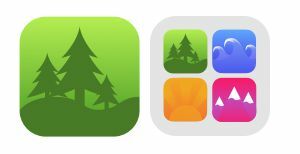 According to an analysis of app icons by Incipia, simple icons with limited color palettes outranked gaudier icons. Users also seem to prefer apps whose icons have a polished look and those that make use of shadow and transition effects. When you are designing your icons, check out Apple’s iOS Human Interface Guidelines for inspiration and best practices. While there are enough keyword tools that do a stellar job of identifying high-value keywords, the problem is that your competition is also using them, and likely optimizing for the same keywords. Instead, ask people to describe how they would search for your app by setting up Human Intelligence Tasks (HIT) in Amazon Mechanical Turk, and analyzing the responses to find appropriate keywords. 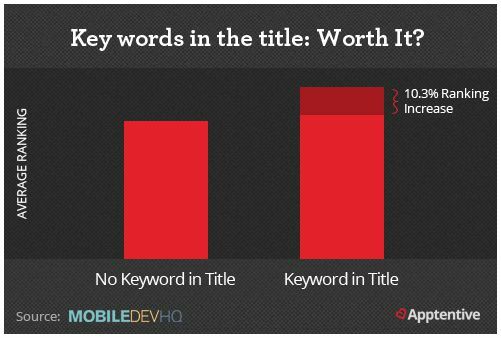 When you are getting started with app store optimization and keyword research, find out the keywords your competition is using. Use tools like AppCodes, AppTweak, SensorTower or Mobile Action to find keywords your competing apps are ranking for, and use SEMRush to discover the keywords authority sites in your niche rank for. App intelligence tools will help you understand user intent and keep your competition from blindsiding you. Just like with websites, keep an eye on the rankings of your keywords, as well as monitoring for any new keywords that might crop up. You can use the app intelligence tools mentioned in the above point, and keep adding new keywords or removing older ones while staying within the 100 character limit. Icons, screenshots, descriptions, keywords, videos – all of these matter to App Store optimization. 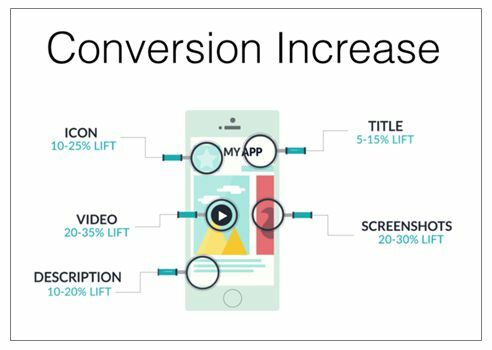 As this conversion study by AppAnnie shows, changing videos and screenshots seem to deliver a 25-30% conversion lift, followed by icons and description. 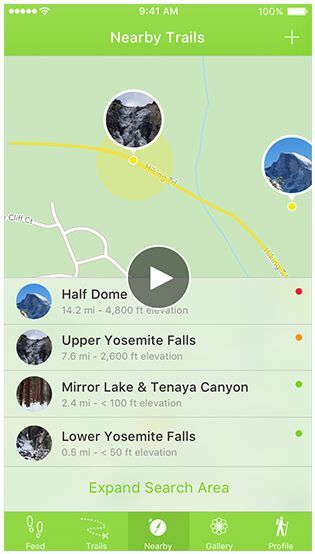 To begin with, test the titles, description, images and videos first, and then move on to other sections in the app store listing. Give deep discounts on your premium apps for a limited period of time. Collaborate with AppSumo for an one time giveaway. Give special discounts to members of online communities, listeners of podcasts, bloggers, etc. 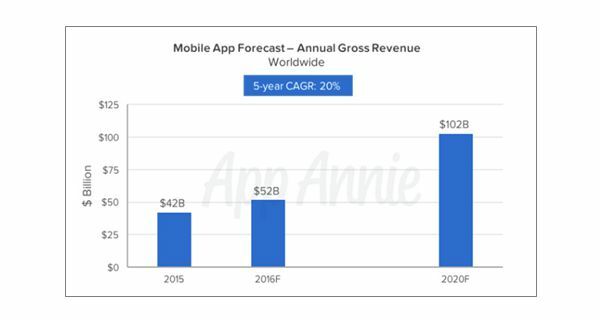 These one-time activities can boost downloads and app store rankings provided they are well planned for, and there is a proven demand for the app. 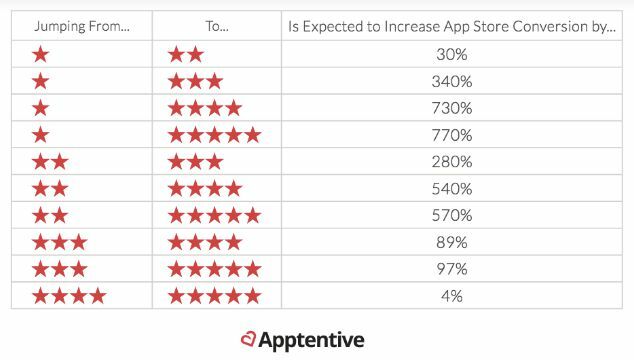 According to recently released App Store search ads data, conversion rates on search ads are averaging 50% for both major and indie app developers. This translated to a cost per install of only 25 cents which works out to be 80% cheaper than ads on any other platforms. You can sign up for the Apple App Store ads platform and start driving traffic with a $100 credit. You should consider using trending topics as keywords. 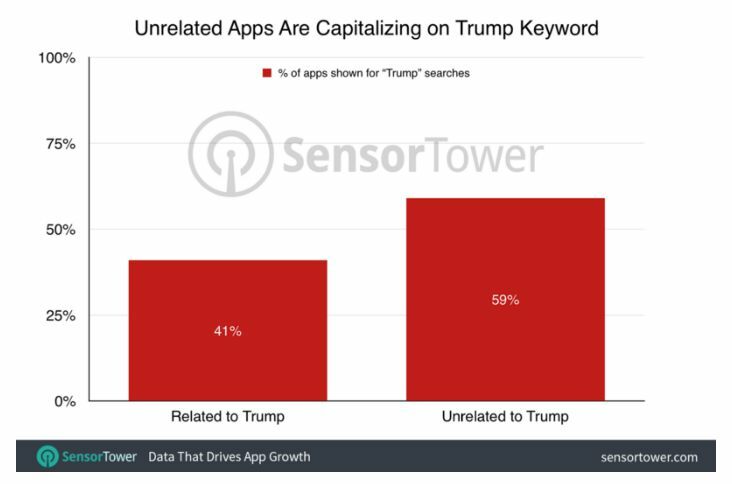 For example, during the US presidential race, a search for “Trump” showed 2,109 results, and a search for “Hillary” showed 334 results in the App Store. While most of these apps have nothing to do with the candidates, you can get creative and focus on seasonal events, optimize your keywords and drive search traffic towards your app. For instance, if you have an exercise app you could add the routines of the star players during the Super Bowl and use related keywords to get high rankings. 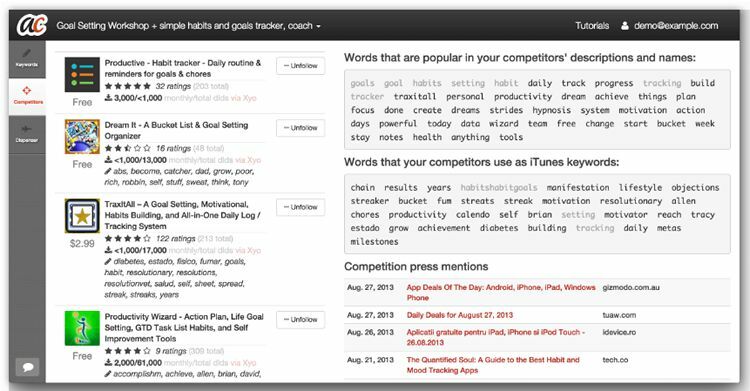 You can use tools like App Radar to track trending keywords. The App Store optimization process never stops. These tips barely scratch the surface, and you can find more ways to optimize your app and improve your listing as you take a deep dive into the topic. However, by implementing each of these tips, you will be better than 95% of the app developers out there.